Dr.Ashish chopra,dental surgeon and orthodontist at Dr. Chopra’s Dental Clinic Orthodontic & Implant Centre, a super spciality dental clinic completed his bachelor of dental surgery fromManipalcollege of dental surgery, Mangalore in year 2001.He always have been a meritous student all through his graduate course. After graduation Dr Ashish went to pursue his master degree in orthodontics from KLE’S institute of dental sciences, Belgaum. He was ranked and awardedamong the top 10 students at Rajiv Gandhi university of health sciences in the year 2006. During the orthodontic post graduate course Dr Chopra gained in depth knowledge and experience to treat complex orthodontic cases and provide them with a beautiful smile for lifetime using different appliance as metal, ceramic, self ligating and lingual appliance.He also got the experience of treating cleft lip and palate cases under the smile train programme by New york,U.S.A at the KLE’S college. His interest in the field also got him the experience of treating orthognathic surgical cases that required a combined approach by him as orthodontist and other specialists (oral surgeon).drchopra received the award for 2nd best clinical paper at national conference by Indian orthodontic society at PGI chandigardh, 2005. Dr Ashish been regulary been attending course,lectures, workshops to enhance and update his knowledge of latest trends in dentistry and orthodontics such as courses by Dr Marcott (u.s.a) , Dr V.PJayade and Dr N.Rkrishnaswamy. Dr Ashish has extensively attended lectures and training programmes for using clear aligners for treating various malocclusions.Dr.chopra also got training for lingual orthodontic appliance Dr Ashish started his private dental practice since 2006.Besides doing general dentistry,he is consultant orthodontist at various clinics in delhi and NCR. Along with practice Dr Ashish is also involved in academics where he teaches and guides orthodontic post graduates. 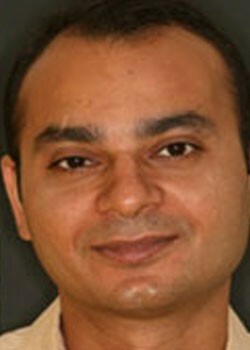 He holds a position of Associate professor at IDST dental college. Apart from orthodontics Dr Chopra has keen interest in dental implants for which he has undergone extensive training courses .He has been placing implants and rehabilitating smiles since 2011. Soft spoken, friendly and pleasant Dr Ashish ensures to give best treatment to all his patients.His knowledge, experience and confidence ensure to plan best treatment for each case. His genuineness and personnel care in treatment planning and progress of each case makes all patients satisfied with the results. Dr Naina had received University rank (Gold medal) in all the four B.D.S professional examinations. Dr. G.C Das Memorial award for Post Graduate students for best oral presentation at 37th IPS conference, Thrissur, November, 2009. Awarded scholarship from the college (I.T.S-C.D.S.R) cash prize of Rs 10,000 in FIRST AND SECOND YEAR for securing FIRST RANK in the university(C.C.S University , Meerut). Awarded scholarship from COLGATE-of Rs 4000/- for securing FIRST RANK in the university. Awarded membership of SCADA -Student Clinician AMERICAN DENTAL ASSOCIATION. He has also done training in Dental Implant bone grafting and sinuslift surgeries from FRANKFORT, Germany. He has an experience of more than 10 in years in this field and has been dealing with complicated full mouth rehabilitation cases with dental implants. 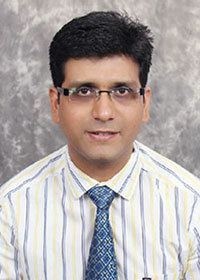 Dr. priyanshu completed his MDS from college of dental surgery Dharwad. He is an oral and maxillofacial surgeon and takes care of surgical removal of impacted teeth (third molars/wisdom teeth), facial trauma cases, TMJ surgery, orthognathic surgery to improve face cosmetics, oncosurgery. 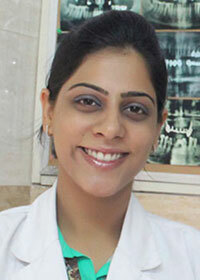 Dr Minni is a professor and head at E.S.I dental college, New Delhi. She specializes in gum surgeries, frenectomy, grafting of bone and soft tissues. Dr. Meeka is a specialist in root canal treatment procedures, single visit rotary endodontics. Dr. Garima is a specialist in kids dentistry. She has done her MDS from KGMC lucknow amd is an expert in managing child dental problems with soft and gentle approach. She also specializes in treating complex cases of childen dental problems under conscious sedation and general anesthesia. Dr. Gaurav is a specialist in the diagnosis of oral cancers,tumors and other critical pathologies of bones and gums e.g- Lichen Planus, Desquamative Gingivitis, ameloblatoma and other bone tumors).